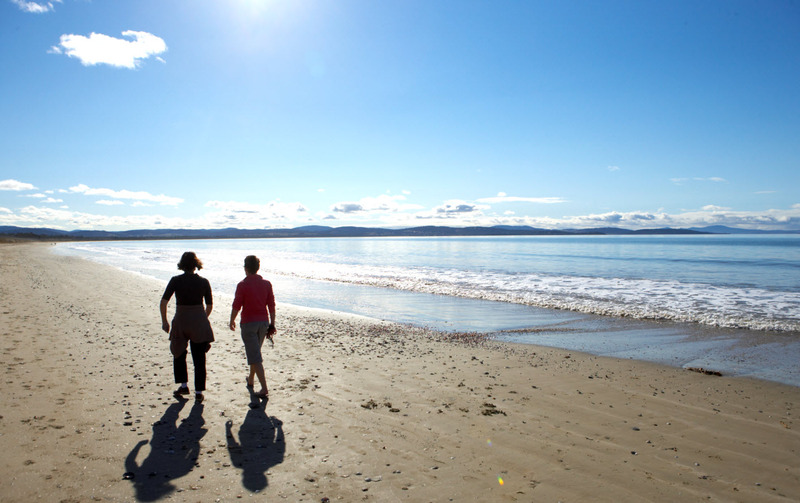 My husband and I just enjoyed 4 lovely nights at Seven Mile Beach Tasmania. Flying in after two delayed flights, we were very grateful that the resort is only 10 minutes from the airport, fantastic location! This trip we managed some new sight-seeing, we did a day trip to Bruny Island where we tasted local cheese and produce, and we spent a few hours at the Museum of Old and New Art (MONA) which had some quite controversial artworks, well worth a visit, and stunning architecture. Being the foodies that we are, we enjoyed some lovely meals in Hobart (20 minute drive away), gourmet duck pizza at Cargo, pork belly burgers at Jack Greene Bar, breakfast and coffee at Pilgram and a seafood platter at Mures Lower Deck were the highlights. A trip to Hobart is not complete without taking in the festivities of the Salamanca Markets on a Saturday morning, by far our favorite markets in Australia. Many stalls of local produce, products and crafts, you can spend hours there! Seven Mile beach resort is a home away from home, the units have all the necessities, in a lovely quiet region. Many adventures to be had in many different directions.